Energy secretary Rick Perry leaves Thursday for a three-country trip to the Middle East, including Saudi Arabia, Qatar and United Arab Emirates, according to a department official. 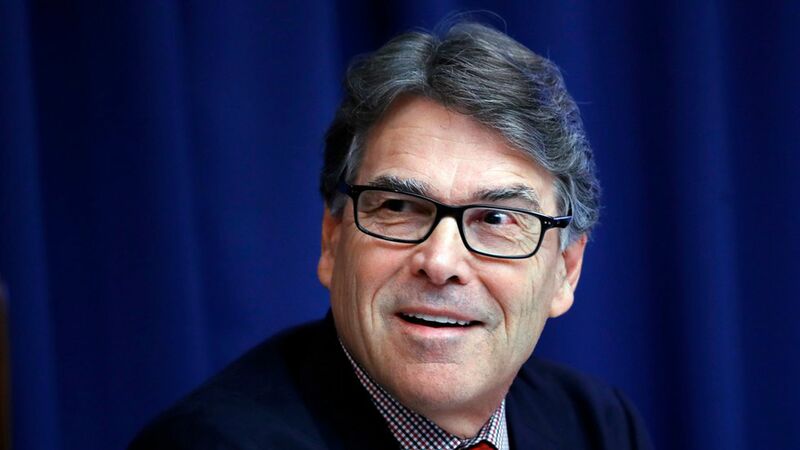 Why it matters: This is Perry's first trip to the region as secretary, where he will meet his energy counterparts. The visit could highlight the geopolitical tension present with the U.S. shale oil surge competing with Saudi Arabia and other OPEC producers for market share. The Middle East is ground zero for a lot of issues in the energy space – especially oil and natural gas but also less high-profile areas like advanced nuclear power and technologies that capture carbon emissions from fossil fuels. What we're watching: To what degree Perry talks about the initial public offering planned by Saudi Aramco, the state-owned oil company of Saudi Arabia. President Trump tweeted in early November he wants the company to post the IPO on the New York Stock Exchange. Separately, Perry is expected to speak at a conference on carbon technology in the United Arab Emirates.